I’m so excited about today’s music product to share with you. It’s from a company called Homeschool in the Woods. I have loved their products for many, many years! They have so many great history materials. Amy Pak is an incredible artist and does drawings of famous people, etc. Today I’m telling you all about the Composers Activity-Pak. And be sure to enter to win it for yourself! The Composers Activity-Pak is available through digital download (which is what I got) or CD-Rom. Once you open it on your computer, you have a nice screen with a menu which makes it easy to navigate to what you want to find. What is in the Composers Activity-Pak? It’s best for grades 3-8. My 8-year-old daughter loves doing lapbooks and notebooking. Here is one of the pages she has completed so far after listening to the Mozart piece Eine Kleine Nachtmusik. We are also looking forward to making the composer booklets to play games and learn with. They can also be used as flash cards. This next page shows you what one of the “teacher” pages looks like, with instructions on how to complete the activity and a photo of what it should look like. Contest runs December 8-31, 2016. The winner will be chosen on January 1, 2017 and will have 24 hours to respond to my email. my son will be sooo excited to have this pack!!! I love it all. Notebooking is one of our favorites and the little booklets. So cool. Thanks for the opportunity. Wow! Thanks for organizing this. It looks great. I’m looking forward to seeing how much my children will enjoy this. I think it will provide them a way to get a thorough education on the composers. This looks like a great program. My kids were excited when I let them look at what was included. What a lovely site! So glad we connected. Looking forward to knowing more. Thanks for this opportunity, the study looks fabulous! Also we cannot wait to begin Intro to Musicals in the New Year. Thanks Gena! I really like the lapbook component! My kids are in love with lapbooks! This looks like a fantastic program. I’m keen to start teaching my children about the composers of our world in our homeschooled curriculum. The whole pack is exciting. I really like Homeschool in the Woods activity packs and have wanted to buy his one for a few years now. I love the little composer booklets and the notebooking component. As music teachers and parents my husband and I would definitely get a lot of use out of this. Thanks for creating this and sharing it!! I really like Homeschool in the Woods activity packs and have looked at buying this one. I would like to find an engaging way for my children to learn about composers . We have used other products from Homeschool in the Woods, so they would probably really enjoy this. I would love to have this for my ten year old son! What excites me is that my son loves music and he loves the Old Music and now I will be able to teach him about the authors of the music we both love. It is also something that I could never believe I would have. Fun give away. 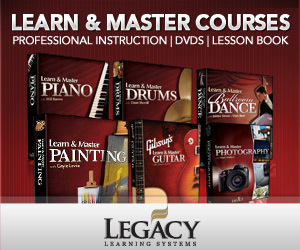 I have been wanting to do more with music education in our homeschool. I see a lot of great tools on your Pinterest page too. I will have to check those out. Love everything including the timeline. 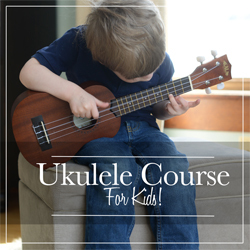 My daughter has recently gotten into music appreciation – she loves the violin right now and this would be a perfect way to channel her inner music. Thanks for the opportunity! This looks like so much fun! Thanks for the opportunity to win! This looks great! I am really enjoying having more music in our school this year. You have been a big inspiration! I’ve always wanted to try Homeschool in the Woods! I love classical music but I’ve done a terrible job of passing that love along to my kids. I think this pak would help me share my excitement with them. A creative way to add music. I am looking forward to exposing them to music they normally don’t hear. We use lapbooks, timelines and art in many of our subjects in homeschooling. This is such a wonderful thing to be able to include composers to the music that we listen to daily.